The so-called “Age of Information” has some incredible benefits and tools to take advantage of. For instance, if you’re looking to use just about any service imaginable, you can now hop online and find out what people are saying about that business or service. This availability is changing the way that many people connect with businesses and services in their area – even in healthcare. For something like a dentist, knowing exactly who offers caring, high-quality service is incredibly valuable; but how do you navigate review sites to find what you’re looking for? There are plenty of reviews out there, but not all of them are going to give you an accurate portrayal of what the dentist offers. Increasing your review site skills will make your ultimate judgment that much more impactful. First and foremost, we want to get the nasty bit out of the way: Not all reviews are real. It may seem crazy to those that don’t live in a world of constant marketing, but many businesses employ fake reviewers to boost their own rankings and/or discredit their competitors. Before you checkout entirely and rule out using reviews in your search for a great dentist in your area, you should know that this does not represent a majority of reviewers, or even usually a substantial enough portion to matter. Second, even among reviews that are real, it is important to note that people that are simply satisfied, or even happy, with the service will very rarely leave a review. Most reviews are left by people that are either extremely happy with the service they’ve received or, more likely, those that were unhappy or completely furious about their experience. Now, what is important to take away from this insight? Simply this: You should expect to see a few bad, even scathing, reviews on just about any review page – just try to read between the lines to see what the person’s real concern with the business is, not just what they’re claiming. This can be difficult to do, but can give you insight into what may have actually gone wrong for them in an otherwise nonsensical tirade of disappointment. Finally, and perhaps most importantly, it is extremely important to remember that most customers will never even consider leaving a review. Think about a service that you’ve gone to for years – something like a hair stylist, your favorite restaurant, the HVAC company you call year after year, etc. – then ask yourself if you’ve ever reviewed them before. Odds are, you haven’t ever even considered it until now. So, just remember that only a tiny portion of customers ever even approach a review site, so don’t ever let yourself see a list of reviews as comprehensive or perfectly accurate – that will never be the case. As mentioned above, there are plenty of problems with reviewers themselves – and just as many with review websites. No matter how honest or forthcoming a review site is about gathering accurate reviews from real customers, no review site can hope to offer you the reviews that were left on a different review site. 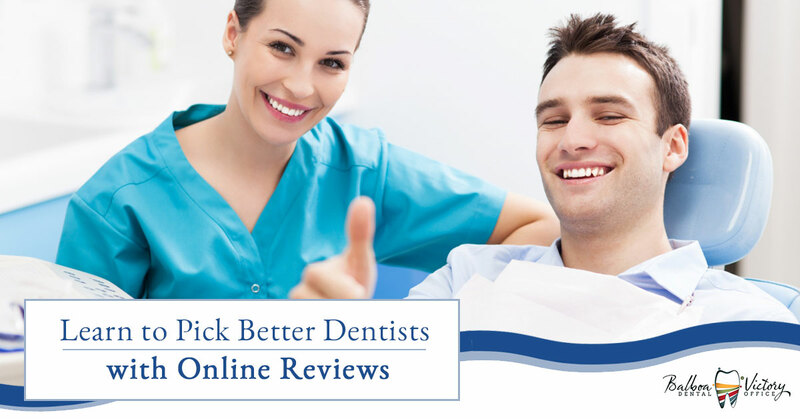 Basically, this means that a single review site may not give you an accurate portrayal of the dentist’s total online review presence, just their overall rating on that particular review platform. Over 5 reviews for that dentist, but more is better. While one or two reviews on a page shouldn’t be invalidated, the more reviews a site offers the dentist or their office, the more accurate the picture that is portrayed should be. No (or very few) fishy reviews. Trust your instincts: If reviews seem a little suspect, then check a different site or look a little skeptically at what they’re saying. Usually, sketchy reviews will include multiple similar reviews left on the same day or in the same week, short and vague comments, or an all-around suspicious-looking review platform. Patient verification. The best review sites will offer some way for the site or business itself to validate that a review was left by an actual patient, not just anyone. An alternative to verification can be found in paid services, like Angie’s List®, for example; reviewers are less likely to create negative reviews on a paid service. Healthcare-specific review sites. While there aren’t many widely-used review sites for healthcare professionals just yet, this is a growing industry as reviews become more widely used by patients across the country. Typically, you can search by individual dentists or doctors, as well as the business or practice itself, which is nice. Remember your priorities. If a dentist’s negative review complains about long wait times, while a positive review also mentions that as a slight con, and you know that your appointments will take place during the workday, that should be a big con for you; if you have plenty of time, then maybe that can be ignored. Above all, it is important that you look at reviews at a high level only, whenever possible. Don’t get too swept up in the individual things people are saying, but look for trends and see how they match up to your expectations of dental care. Does the dentist seem trustworthy in these reviews, do they do a good job, are their patients overall satisfied? Asking yourself these types of questions can make it much easier to sort through the good and the bad to find what’s really important. Get in touch with the friendly staff at Balboa Victory Dental with any questions you may have about our dental care, practices, and other office information based upon what you’ve discovered online – we love to answer those questions! At the end of the day, our entire staff just wants to assist your family find the dental care that is best for you, so we’re truly happy to help in any way.